Engine oil has a tough job to do, and all too often, it’s forgotten about. However, skipping an oil change could cost you. The oil in your engine is responsible for lubricating the moving parts, keeping the engine free of debris, and even dispersing heat. Without it, the engine would grind to a halt, possibly destroying itself in the process. 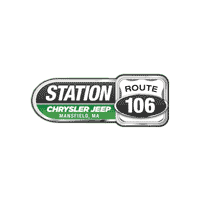 If you’re in the Mansfield, Attleboro, or Norton areas, and are in need of an oil change, please contact us at Station Chrysler Jeep. Our state-of-the-art service department is staffed by a dedicated team of automotive technicians who have the training and the experience to change your oil quickly. We’ll be sure to use only the manufacturer recommended motor oil and a premium new oil filter. That way, your car, truck, van, or SUV continues to run and perform at its very best. To schedule your appointment, contact us today or simply schedule an appointment online. 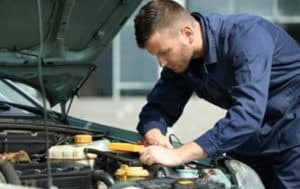 Below is a brief list of warning signs that it might be time to get your oil changed. If you’re noticing any of these signs with your vehicle, it’s important to schedule an oil change right away. Do you see the change oil soon light on the dashboard? A check of the oil dipstick shows that the oil level is very low. There is debris in the oil and the oil is dark brown to black in color. Strange or unusual noises are coming from the engine. You have no idea when you had the oil changed last (this is a good sign that another oil change is needed). At Station Chrysler Jeep, we specialize in all kinds of vehicle service and maintenance. So not only can we change your oil, but we can help with any other automotive issues you might be having. Our team of certified technicians have been helping drivers from the Mansfield, Attleboro, and Norton area for years. Making an appointment at our dealership is easy. All you have to do is schedule service online, over the phone, or stop by our service department. We’re looking forward to working with you.